The University of Sunderland’s innovative digital publishing and broadcasting space and home for its award winning Spark and online websites for local news, local sport, fashion and arts and entertainment. You can find out more information about the mediaHUB here. The mediaHUB offers a range of work experience opportunities to students and members of the community aged between 15-25. We offer unique experiences in media production, radio broadcasting and multimedia journalism across all of our digital platforms. Subject taster days provide opportunities for groups of school or college students to experience workshops, masterclasses and industry training in our mediaHUB delivered by academic lecturers and industry specialists. If you feel your students would benefit from training sessions & workshops in media production, radio broadcasting and multimedia journalism please get in touch. The mediaHUB is looking to develop long term partnerships with organisations, charities, schools, colleges and companies across the region. We are keen to discuss your needs and how we can collaborate and If you are interested, please get in touch. 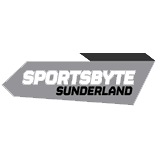 Get to know Spark, Fashion North, Northern Lights, SR News and Sportsbyte. Find out more information here. The number of followers across Facebook and Twitter for all of our brands. Our most viewed article across our platforms is this article on Fashion North. The number of articles published across all of our platforms. The number of comments across our platforms. Welcome to the mediaHUB, the home of Spark, Fashion North, Northern Lights, SR News and Sportsbyte.